Of course, here in the UK, we don’t celebrate the 4th of July much. Or at all, for that matter. But the thousands of ex-pats in the country do, and they do it large! Fireworks, picnics, BBQs and house parties will all be happening in a few days, and most of the guests will be Brits. But what to bring to such a shindig? Ask most people what they believe constitutes ‘American Food’ and they’ll almost invariably answer: hamburgers, hotdogs and fries. All of which actually have European origins, with two being named after German cities (Hamburg and Frankfurt, home of the frankfurter, aka ‘hotdog’). But the truth is, there’s plenty of indigenous American food that’s made its way across the pond – think: pumpkin pie, popcorn and pancakes – and plenty that hasn’t yet, like succotash and okra. But it’s time for all that to change. 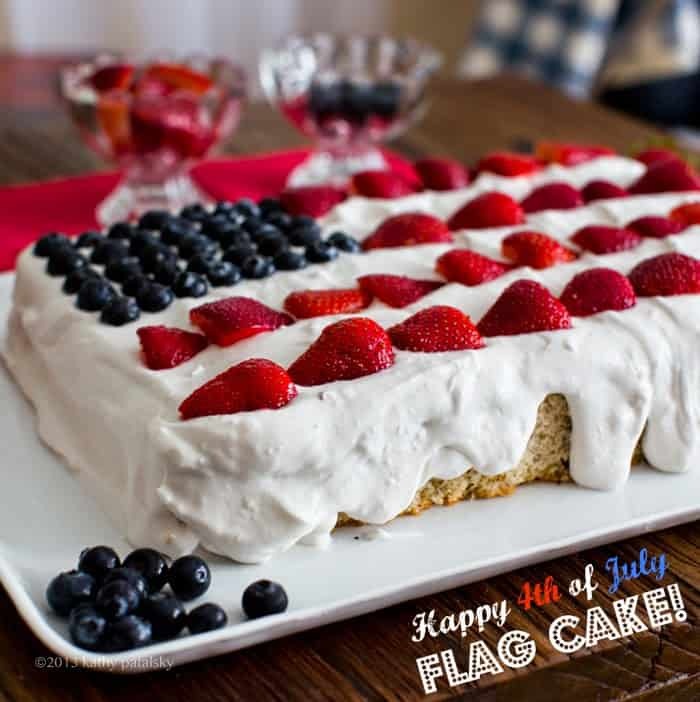 Here, I’ve come up with a bunch of Vegan American Recipes that are perfect not only for the 4th of July, but any time you’re planning a picnic, BBQ, or just feeling some love for the red, white and blue – be that for the American, French, Australian or British flags, too! These look like real hotdogs, don’t they? But they’re a bit sweeter and mushier…because they’re actually carrots! 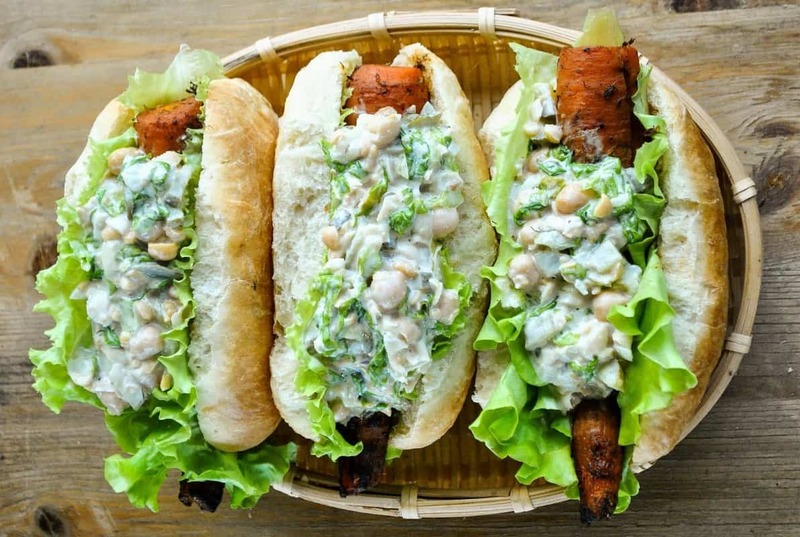 If you love the explosion of textures and flavours that come along with traditional hotdogs, then you’ll love this recipe, which combines crunchy, chewy and creamy textures on a bun. No hotdog buns where you live? Never fear: there’s even a recipe for homemade buns in this one too! Who doesn’t love a potato? 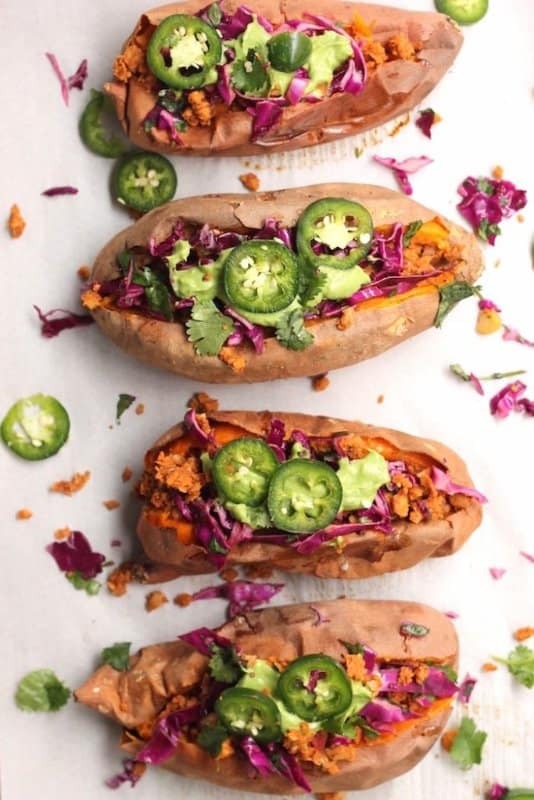 It’s like the blank canvas of the cooking world: you can do just about anything with them and don’t these look amazing? 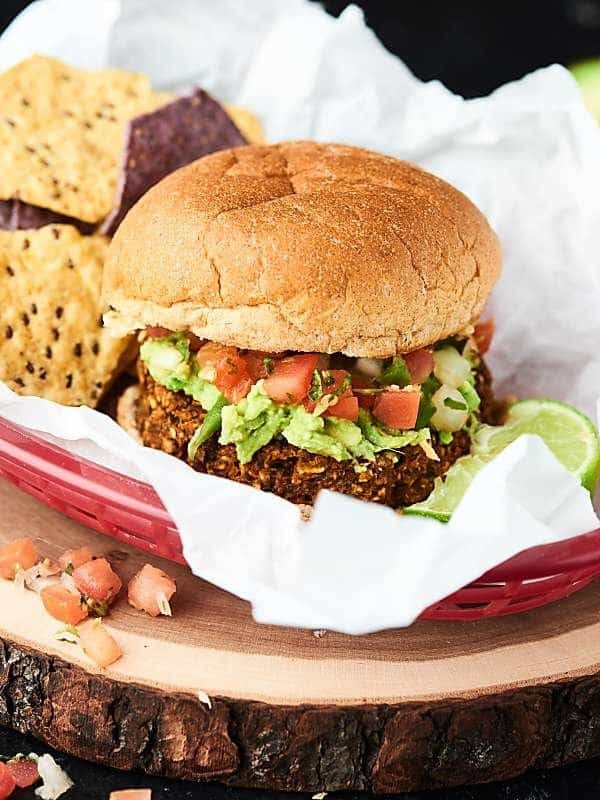 Stuffed with chickpea ‘taco meat’ and loads of creamy cilantro sauce, they’re full of zesty SoCal flavour. 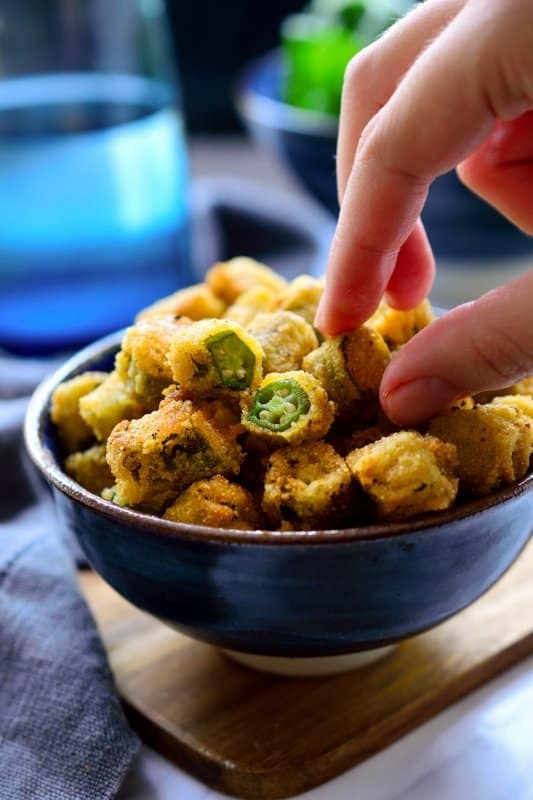 Okra is a Southern favourite vegetable that kind of looks a bit like a teeny tiny zucchini. It’s normally stewed up with meat or chicken, onions and tomatoes. But it’s pretty tasty on its own, especially when breaded and fried! ‘Sufferin’ succotash’! That phrase, uttered in frustration by Sylvester the Cat in Looney Tunes, was the first time I had ever heard about succotash. In fact, being British, I had no idea what it actually was until I researched this recipe. But as a vegan, I must say: it looks pretty tasty! 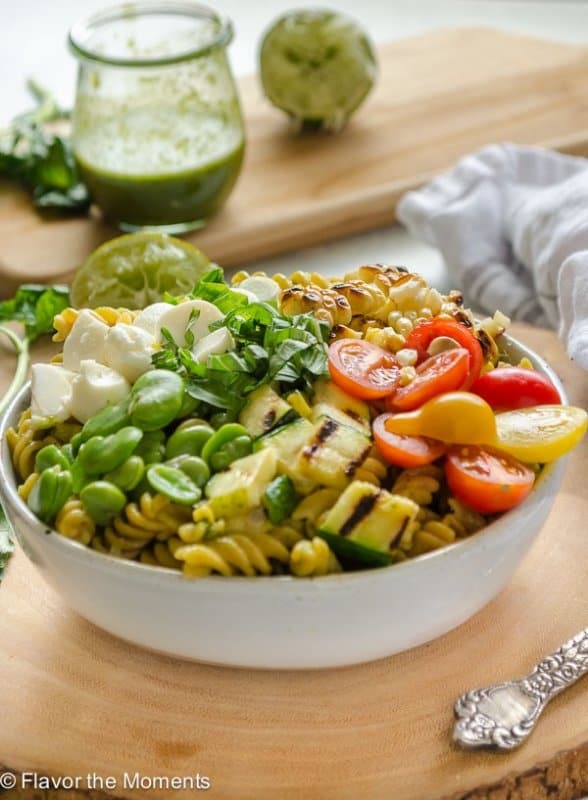 Chock-o-block with summer veggies and easy to whip up, too – just a note to our North American friends: if you are making any recipe with corn, PLEASE buy organic! In your country, this food is almost always GMO, and that’s not good at all. For many, one of the hardest things to give up when going vegan is: cheese. There’s just something irresistible about the combination of salty and creamy and hot that’s sooo delicious. 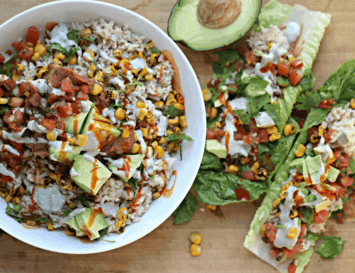 Luckily, this vegan recipe plays with all of those textures and flavours that we so love, and results in a hearty, healthy twist on an American classic. The native Americans introduced our European ancestors to the notion of popped corn, and it’s been a favourite ever since. In commercial popcorns, these healthy kernels are coated in sugar, hydrogenated fats and MSG but there’s really no need for that! This delicious recipe just involves a bit of olive oil, lemon and kale. 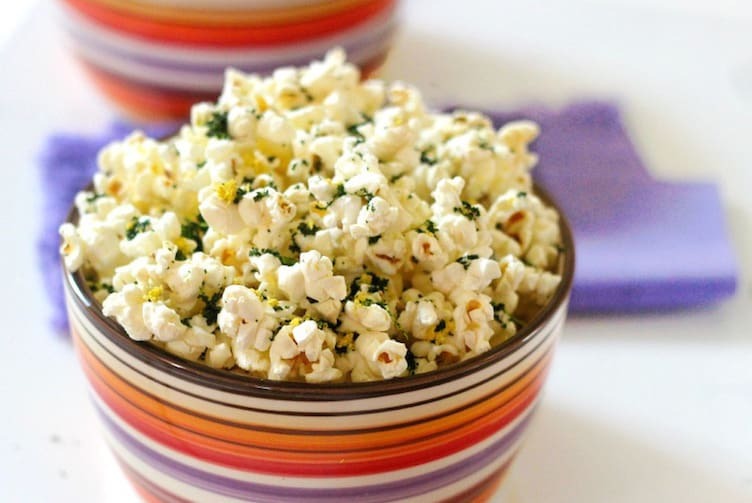 Oh, and popping corn, of course! 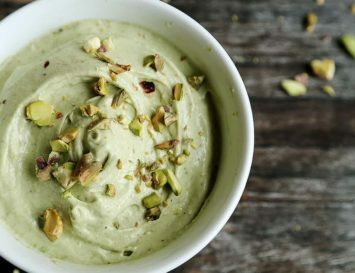 Make a huge batch, throw it in a bowl and watch it disappear as your guests dig in. 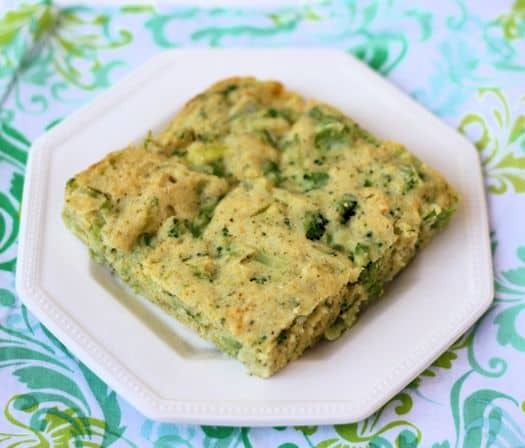 Cornbread is essential a twist on Italian polenta – in fact, instead of saying ‘polenta’, many Americans refer to this as ‘grits’. But no matter what you call it, it’s tasty and filling and easy to share. Added broccoli gives this a nutritional boost. 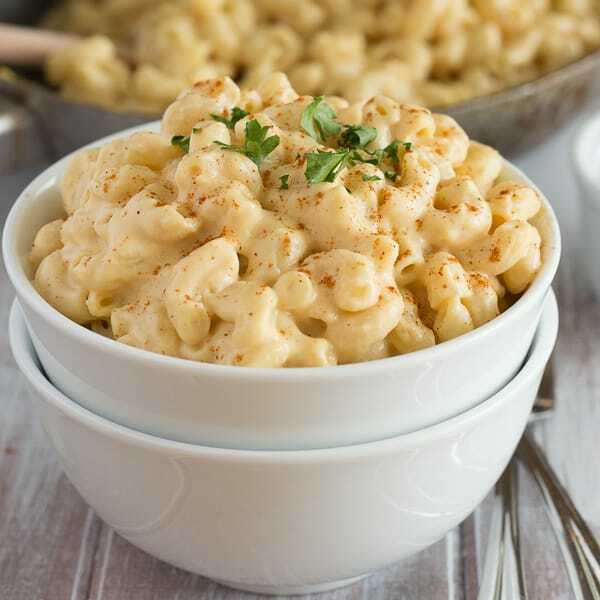 Normally, this recipe calls for loads of butter and cheese, but after a huge search, I finally found a vegan version. Woohoo! Just remember: American corn is normally GMO, so please ensure you buy organic or Italian polenta, or grits, or cornmeal, or whatever you want to call it! Time to get more pure veggies in this recipe list! 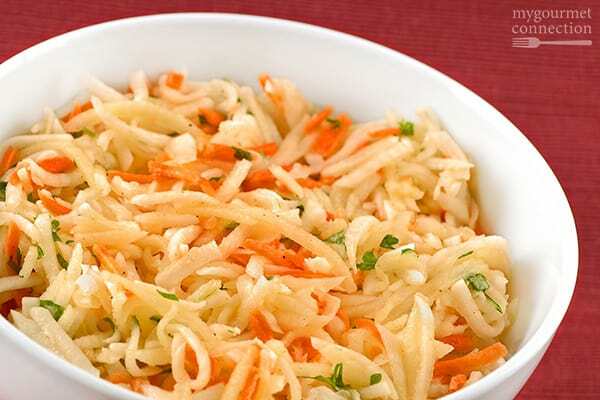 Oh, and fruits: the sweetness in this grated root vegetable salad comes from that American favourite: the apple. It’s a simple one to make, especially if you have a food processor (otherwise, just use a cheese grater) and has the texture of coleslaw. It may have been invented by an Italian, but as it was created on the 4th of July, it has to be on our list! The recipe was originally made by restaurateur Caesar Cardini, who moved to San Diego from Italy. His daughter Rosa claims that her father invented the dish when a 4th of July kitchen rush in 1924 depleted the kitchen’s supplies. 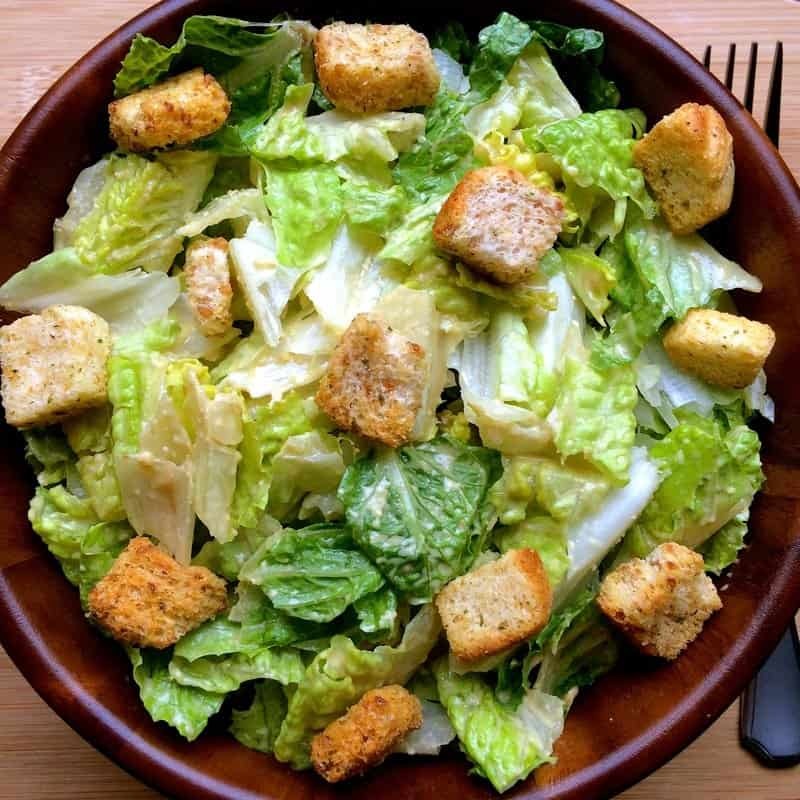 Her dad made do with what there was, and voila – a classic salad was born! This version shuns the original egg, cream and anchovies, making it 100% vegan friendly, but equally tasty. For many, this dish may sound Mexican. But for those in the south, this is pure Tex-Mex American! 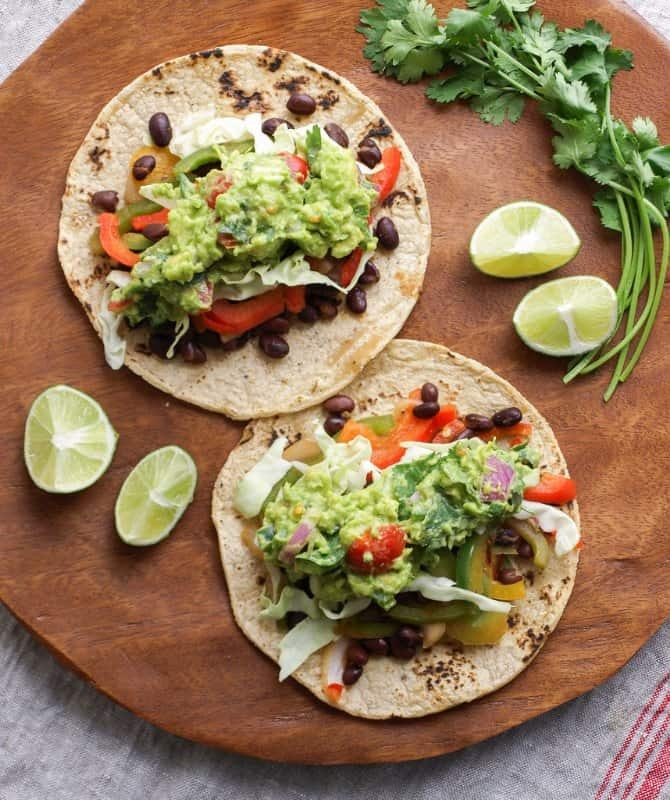 The fajitas substitute traditional chicken or beef for veggies, all topped off with a nice, creamy guacamole. Italians may recoil in horror: cold pasta! What? But pasta salad has become an American summer classic. 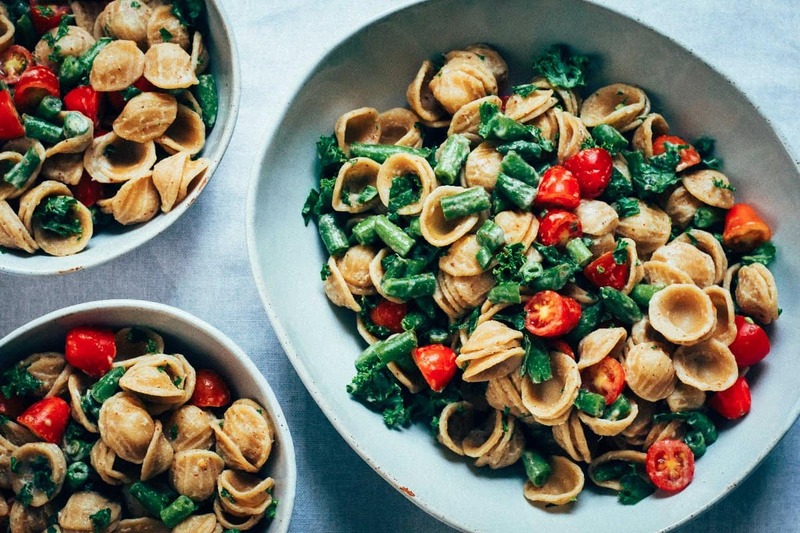 Whilst this dish is usually quite ‘processed’, with tinned tuna, white pasta and tinned corn being the main ingredients, this recipe calls for lots of fresh veggies like kale and tomato, making it a healthy option. And of course you can sub in gluten free or whole wheat pasta to suit your dietary needs. 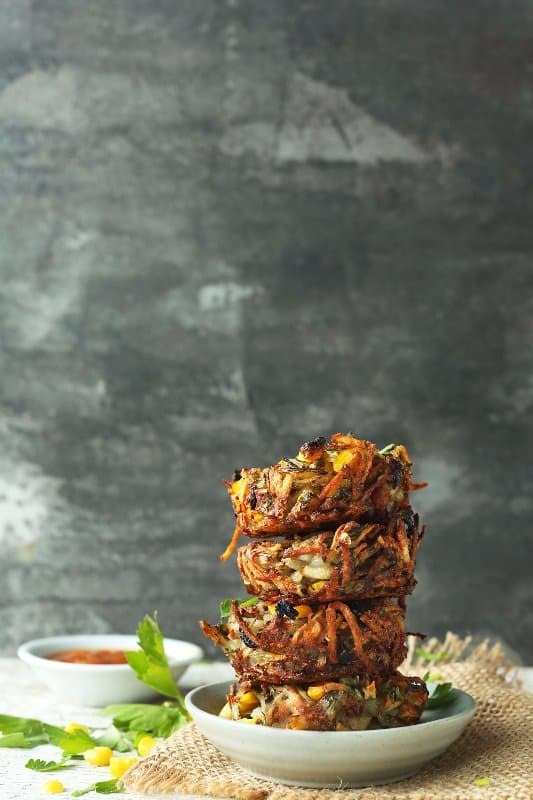 This tasty recipe combines the best of two classics: the hash brown, a concoction of grated potato all fried up, and the haystack, a collection of leftovers piled up on each other. 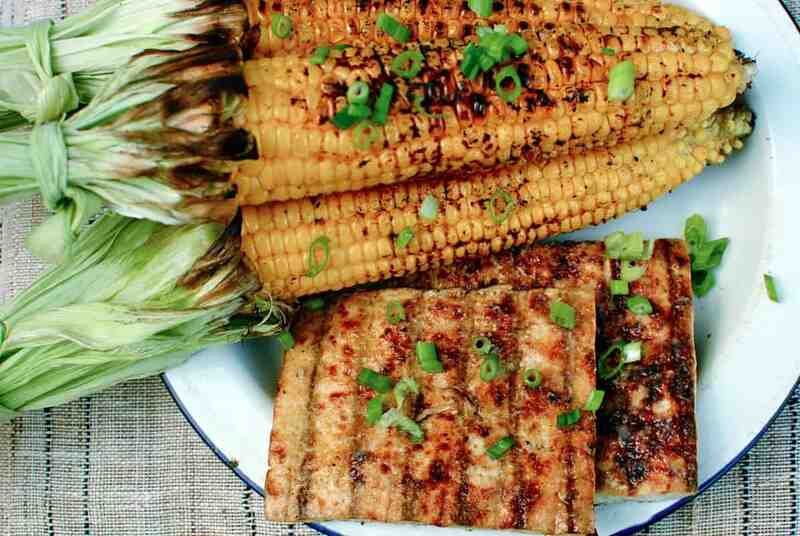 Crunchy on the outside, tender on the inside, what’s not to love about this tasty side dish? Peanut butter is an American staple; but it’s kind of like the Marmite of North America: either you love it, or you hate it. But if you love it, you love it big time, especially when it’s paired with chocolate or jam! 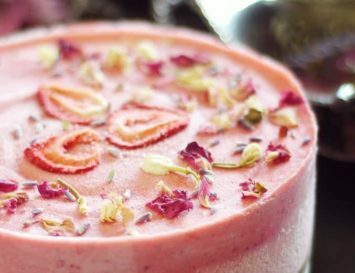 This tastes just as delicious as it looks, and you’d never guess there’s even a bit of tofu in it. Ok, so I know the expression goes: ‘As American as apple pie’ but apples are in season in autumn, right? 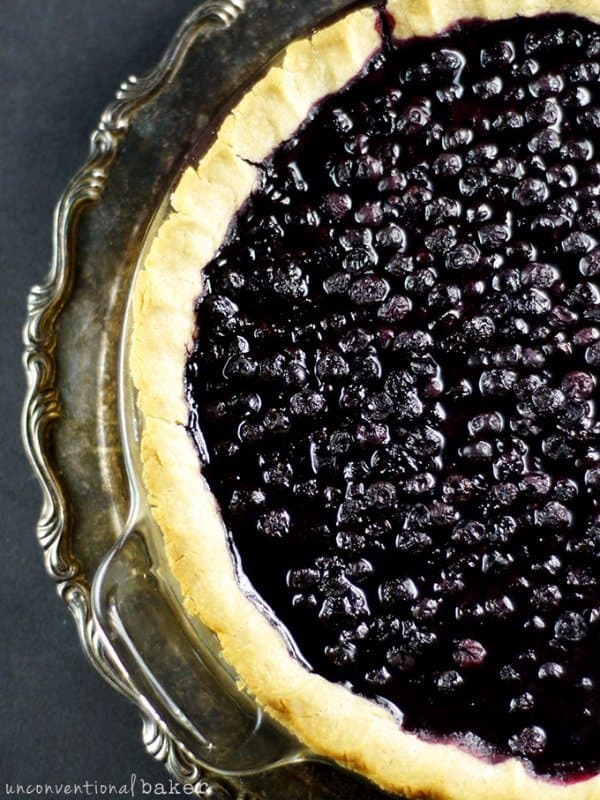 So let’s go seasonal and make another American classic: blueberry pie! 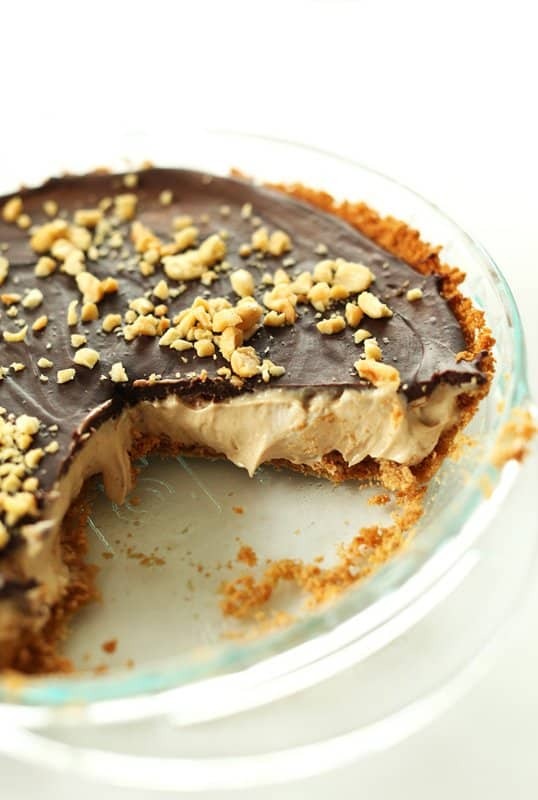 This one is not only vegan, but gluten free, too, making it a guilt-free treat. 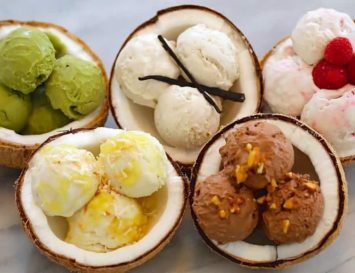 Summer wouldn’t be the same without some cold, sweet ice lollies. But added sugar is only going to lead to inflammation in your body and a sharply raised GI. So leave it out and try these instead! Jamie Oliver’s recipe has oats, fruit and chocolate, making these as healthy as they are delish. 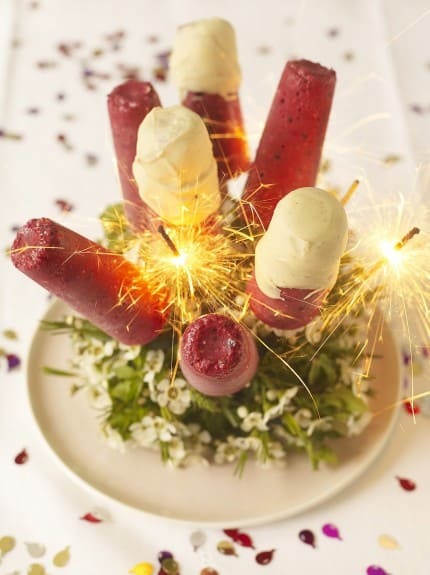 And we love the idea of serving them with festive sparklers! 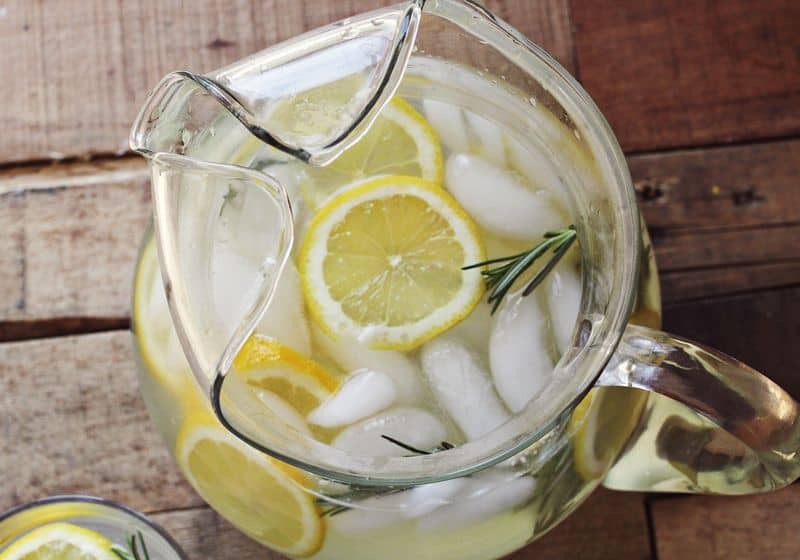 Lemonade can be super healthy because it reduces acidity in the body. Thing is, as it’s often full of sugar, which is acid-producing, and that’s just not good. 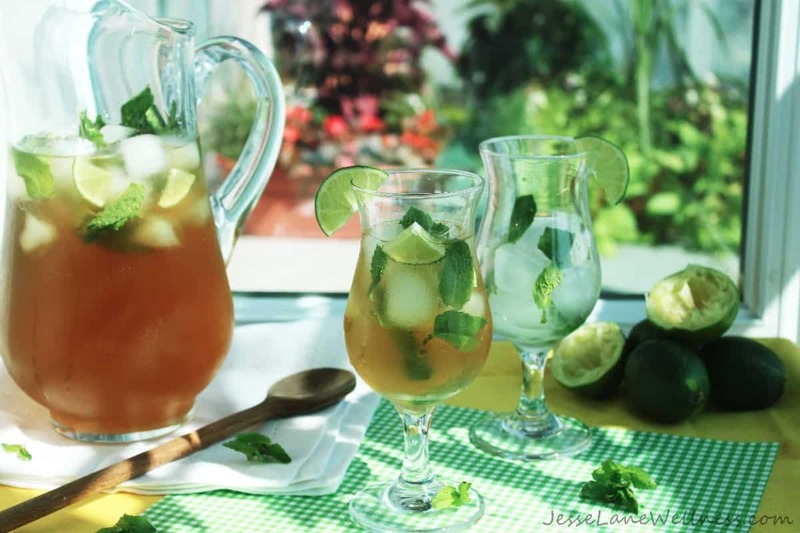 This recipe has a whole cup of sugar, but you can replace the sugar in this and most lemonade recipes with something like stevia or xylitol or another sugar substitute, though. Check here for sugar substitutes. 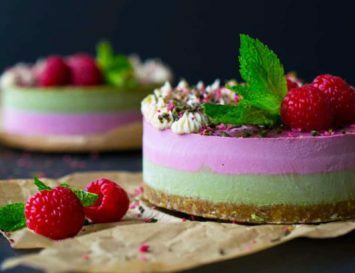 Watermelon, coconut and raspberry form the three layers of this recipe. Personally, I would rather forgo the blue food colouring in the last layer and use blueberries instead, but you can make your own decision on this one! How gorgeous is this cake? Impossible not to impress when you present this at your picnic or party! The frosting is all coconut and the base of the cake itself has a slightly lemony zing, which goes so well with the tartness of the fruit topping.